At Vantage we have the expertise and inspiration to help your business become stronger and realise its potential. We work with you to identify development or efficiency opportunities and then provide guidance on how to address them. Whether it's putting together a plan for a new venture, you're looking for an honest business 'healthcheck' or you simply want to talk about your ideas then Vantage is here to help you. At Vantage we enjoy working and sharing our experience with all levels within an organisation. Everything you need to make your business grow super fast! Every business needs a plan as without a plan not only will you not know if you have achieved your goals but you might find you are not doing what you set out to do. So if your business needs some guidance in developing a business plan, updating your plans or simply reminding yourself why you got into business, then please contact Vantage. A well-motivated, skilled, loyal, and energised team is critical to business success. Vantage can help you put in some simple steps to develop the team, manage change of status (Self-employed to Employed) or help resolve general staffing matters. Suppliers are often neglected in the business model, however Vantage believes that if you choose your suppliers carefully and treat them with respect then this respect will be returned, in terms of payments, prices, contractual allowances and relationship. Measuring your business performance is a must for every business, and making sure you are measuring the right things is equally important. If you need help deciding on the right Key performance Indicators (KPI’s) or how to measure your business then please get in touch. It's a fact of business that without customers there is no business. Knowing what your ideal client looks like is imperative to the success of your business. All of your decisions, from business strategy to day to day decisions need to have the customer in mind. A discerning customer will know if you treating them well and more of a concern know what to do if you are not looking after them. Vantage has experience in delivering customer improvement programmes. As your business grows the way you perform every part of your business needs to be consistent and efficient. Having a well-considered process demonstrates to your customers that you are focused on quality and professionalism. Equally if you ensure the process is efficient then business profitability will increase. So if you feel you have some processes that could work more effectively or that technology is passing you by, then please get in touch. How you communicate with your team, suppliers and team is such an underrated aspect and skill. A well informed person feels respected and valued. Your team needs regular business updates and performance feedback, your customers need a voice to tell you how you are doing and you need an opportunity to tell them about all the exciting you can do or will be doing. A business may have the best product or service but if their potential client base can’t see it or can’t understand the benefits then the business is wasting huge opportunities. At Vantage we can help you with fresh sales and marketing ideas to refresh you brand and invigorate your customers. Most of our clients are clear about the products or services they are offering, but on occasion business owner needs to discuss branching out in a new direction or developing a new products. Either way the benefits of talking through your plans can be very insightful and enlightening. You’re probably asking how do I make my business better? 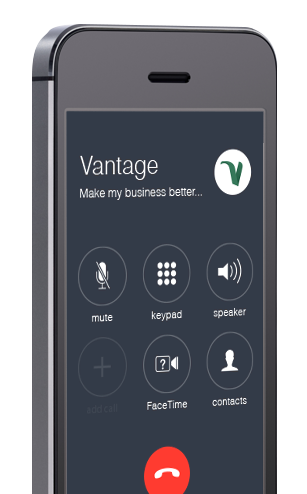 With every new client we offer a FREE HOUR meeting to discuss how Vantage could help their business or to provide guidance on a current business issue. We prefer to have these meetings at the client's premises, so that we can get a good insight into how the business is run. Feedback from these sessions shows that our clients walk away feeling inspired and wanting to make immediate change. At the very least, they take away some great free ideas! Some of our clients need support on a specific issue e.g. cash management, business plan preparation, 'Business 'Healthcheck', staffing advice etc. In these cases we are called in to discuss the issue and provide guidance and suggestions. Our clients use this service when either time or skills are not available to them. This is our most popular service, as it involves providing regular support to ongoing day to day issues e.g. customer issues, business owner coaching, process efficiency projects etc. Our clients also like to involve us in their business review sessions to give them an impartial and experienced viewpoint on how their businesses are performing and how it could improve. These meetings are an ideal opportunity for business owners to set aside some time to work on their businesses rather in it. In the 20 years I spent in BT I performed many diverse roles, worked with many clients and received excellent training in all aspects of finance and management. As Management Accountant for Mental Health Services, I was responsible for providing timely, well presented and insightful financial statements to allow the Charity to know exactly how it was performing and how it could improve. Think I can help your business grow? contact us. With a strong background in finance and strategy, and having over twenty years of client management experience, Iain Hamnett created Vantage in 2010 to provide valued support to business owners who wanted to maximise their potential. Iain realised that many businesses did not always know how to review, challenge or change themselves. It also became clear that businesses greatly benefited from having an independent viewpoint, to share ideas and problems. Since 2010, Vantage has grown to provide inspiring business support to businesses, both big and small. Our clients use Vantage to ‘work on their business rather than in it’ and enjoy discussing tried and tested techniques to work smarter and not harder.